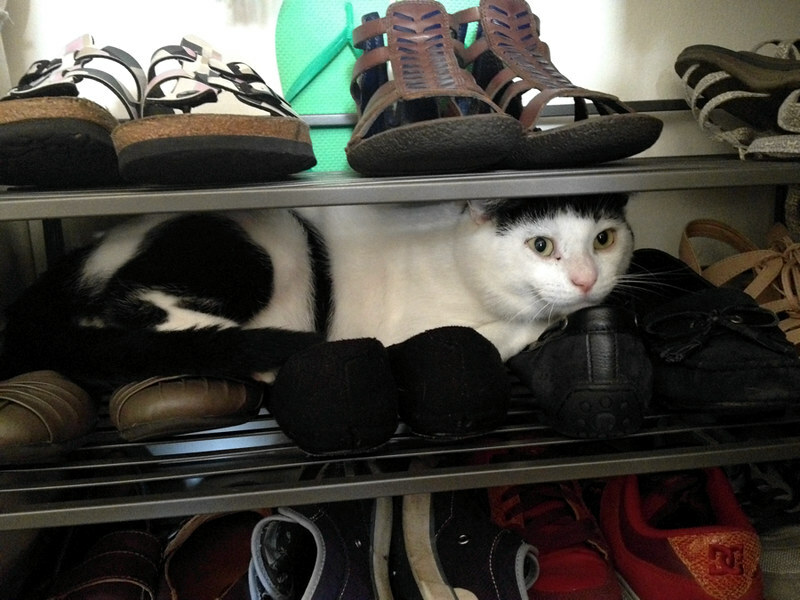 His old spot in my closet was the laundry basket... but lately I've found him squeezed in amongst my shoes. 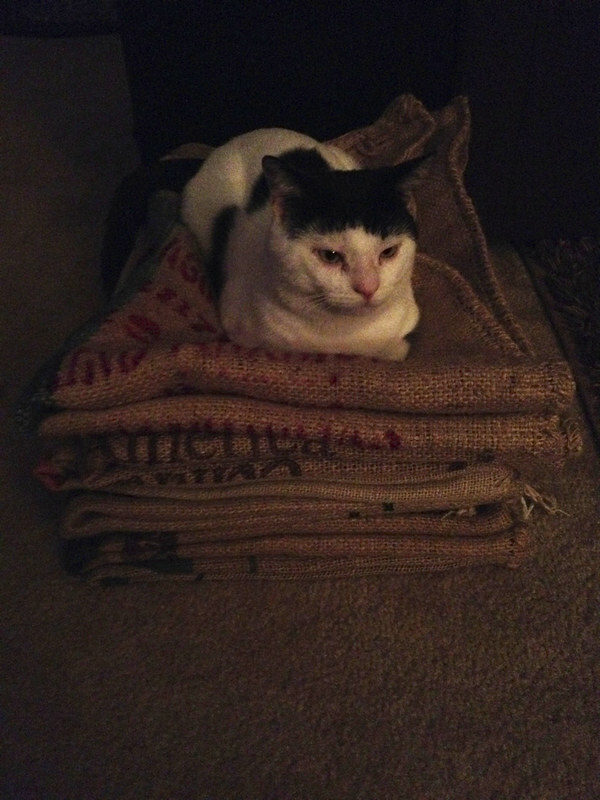 I brought home a bunch of coffee bags for sewing projects, and he's been thoroughly enjoying the pile. 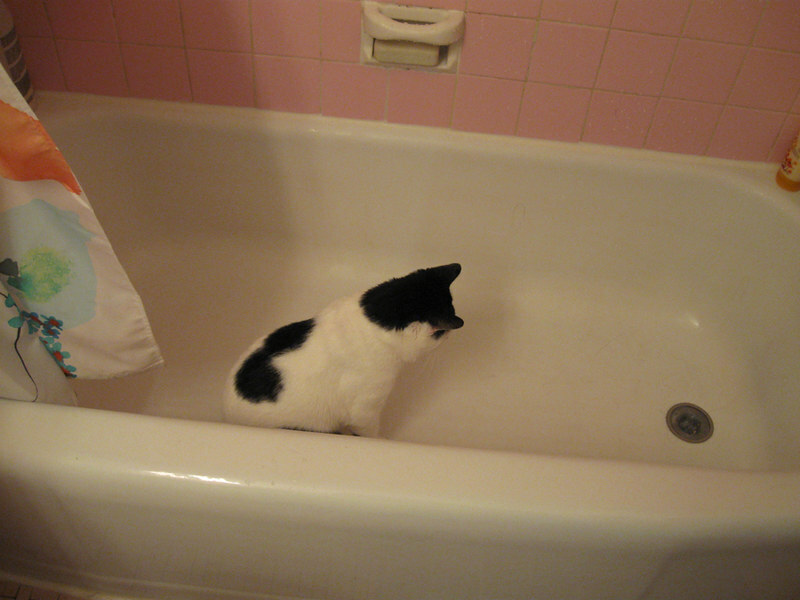 He's so curious about the bathtub; he always goes in there to check it out after we shower. 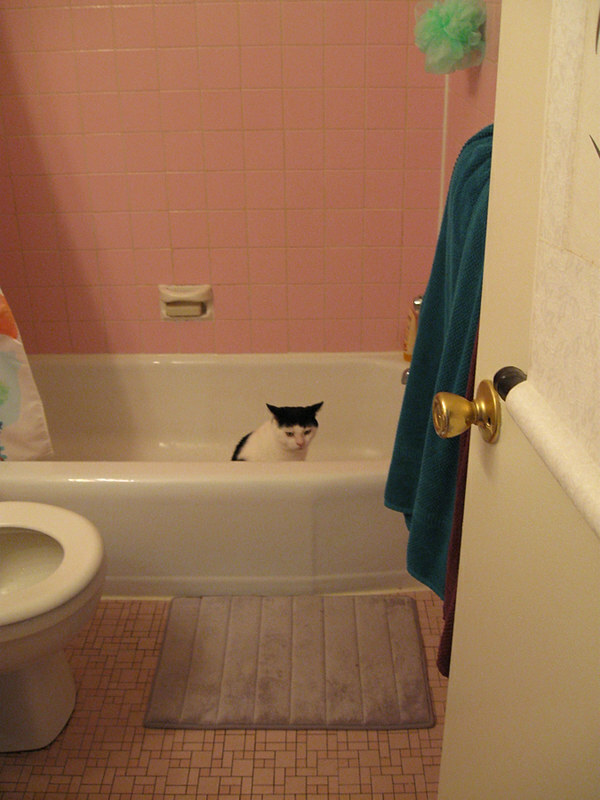 He likes hanging out on top of the toilet too. LOOK AT THAT FACE!!!! I love it. 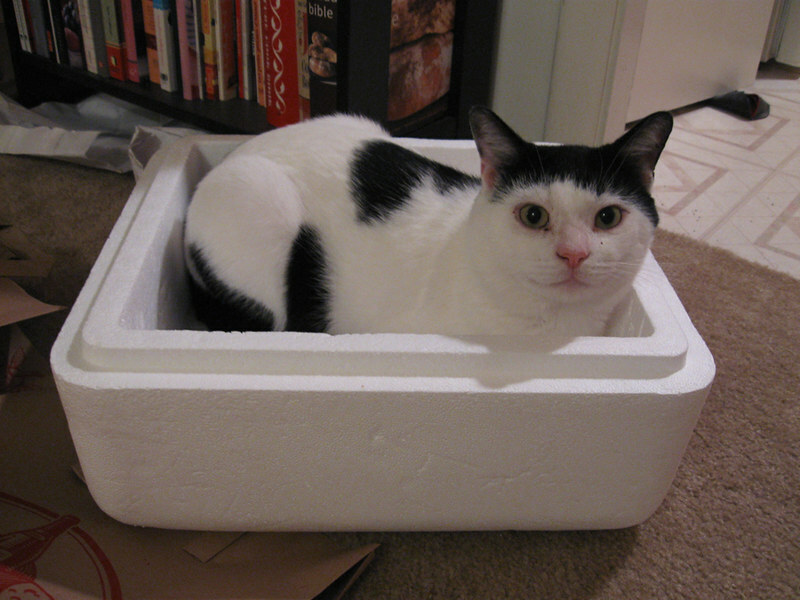 Oh what a sweetie! He is exploring his new world!